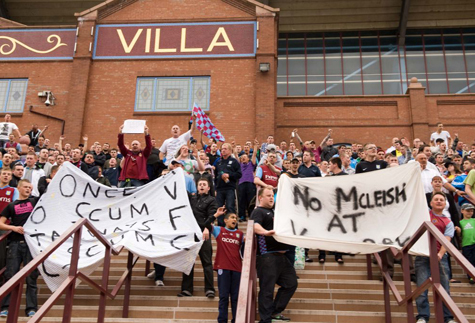 Stopping the rot at Villa park. 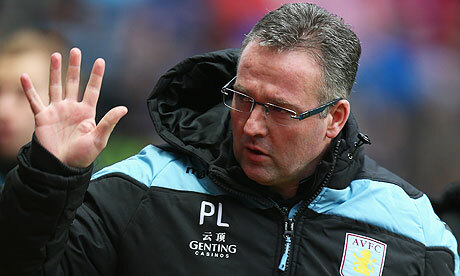 Aston Villa manager Paul Lambert has left the club by mutual consent following a disappointing season in charge of the Birmingham side. Villa struggled for much of the campaign, finding themselves dropping in and out of the relegation zone on multiple occasions. 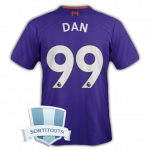 The Villain's did undergo a revival in the final six weeks of the campaign, going eight games unbeaten, ensuring their Premier League survival for another year and clinching a 15th place finish. Villa owner Randy Lerner has sent a statement from his Cleveland, Ohio home saying that such mediocrity would no longer be tolerated at Villa Park as the 50 year old philanthropist has seen his side flounder since Martin O'Neill lead them to three consecutive sixth place finishes, two visits to Wembley and European football before his departure in 2009, the team regressed under O'Neill's replacement Gerard Houllier, finishing ninth and being dumped out the League cup in the quarter finals by hated rivals Birmingham amidst scenes of off-field violence. Lerner would cause a major supporter uprising when Houllier stepped down due to health reasons, only to be replaced by Birmingham's Alex McLeish, prompting the burning of effigies of both McLeish and Lerner outside the Villa Park gates. McLeish failed to win around supporters, Villa narrowly avoided relegation to the second tier of English football for the first time since 1987, Lerner was heavily criticised by supporters for allowing McLeish to remain in charge as long as he did after the Scot secured only seven wins all season. The former Rangers man was eventually shown the door last summer to be replaced by Norwich manager Lambert, who despite a run to the League cup Semi-finals only managed one better than McLeish's 16th place finish the previous season. Things did not improve much in 2013/14 as Villa again spent a season looking nervously over their shoulders before eventually securing survival in the final month of the season, again finishing fifteenth. In truth O'Neill's short lived revival was just a short burst of sunshine through a dark cloud that has hung over Villa Park for years now, Their last silverware came back in 1996 with a League cup victory under Brian Little, John Gregory promised a revival in the late 90's when he lead them to the last eight of the UEFA cup an FA cup final and had the Villans topping the Premier League for most of the 1998/99 season before the eventually collapsed, allowing Manchester United to collect the first trophy of their famous treble that season. 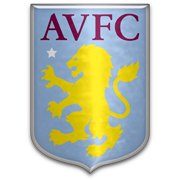 Villa's most famous night in 1982 when the beat Bayern Munich in Rotterdam to lift the European cup is now over years past, the claret and blue half of Birmingham is crying out for a return to their glory days. Can Lambert's successor deliver? Aston Villa have today announced that former captain Olof Mellberg will succeed Paul Lambert as club manager. Lambert was sacked yesterday after two forgettable years at Villa park, Villa owner Randy Lerner has clearly decided to put his faith in the passion and determination of Mellberg which established the Swede as a Holte End idol during his seven years at the club between 2001 and 2008. Although many supporters will be glad to see Mellberg, 36, back at Villa park, many will point to his complete lack of managerial experience, the former Juventus, Olympiakos and Villareal man only recently gained his coaching badges whilst with FC Copenhagen before injury forced him to retire. Perhaps to help the situation Villa have appointed two other ex-claret and blue men in the shape of Marcus Allback and Martin Laursen who will assist Mellberg in his duties. Allbäck, 40 was a teammate and close friend of Mellberg's at both club and international level, scored 34 goals in 70 games for Sweden as well as enjoying a well travelled club career. he scored six goals for Villa in a two year spell between 2002 and 2004 and has spent the last five years as assistant manager of the Swedish national team, a role he will continue in for the time being. Also coming in is another former Villa captain, Martin Laursen. The Dane enjoyed great success in Italy with Verona, Parma and AC Milan before joining Villa who he served for five years, forming a formidable partnership and friendship alongside Mellberg. The arrival of Allbäck and Laursen as Mellbergs assistants will see Roy Keane depart after less than a month at Villa park, it is of yet to early to know exactly what functions the duo will assist the new manager with, however with only Allbäck having any top level coaching experience it will be a steep learning curve for the trio.